Our company is highly esteemed in offering Floor Basalt Tile. In order to keep pace with the never-ending demands of customers, we are involved in offering a wide range of Square Cast Basalt Tiles. Goenka Cast Engineering produce customized casting components .Varient Range of Tiles, Curved cylinder pipes, with a material thickness of 20 mm to 80 mm. The installation is carried out at our works by GCE Qualified technicians using Our Special Adhesive Grout , our special jointer and they are then delivered as finished elements. - Standard Size of Cast Basalt Tiles. Goenka Cast Engineering (i) Pvt. Ltd.
Castbasalt is a proven long lasting lining material for use in situation where severe abrasion, corrosion or a combination of mechanical & chemical actionby the product being handled renders more conventional material such as steel, cast iron, rubber etc. liable to constant replacement. 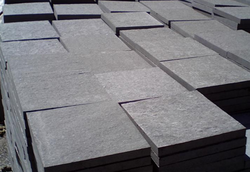 Our organization is offering a comprehensive range of Basalt Slate Tile. 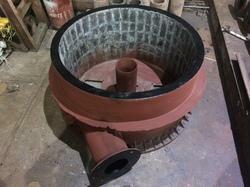 Available in all kinds of finishing, smooth surface and abrasion proof. Used for interior and exterior decor. These tiles are offered in variety of designs, shapes, sizes and colors. Basalt brown rustic floor tile. We offer Cast Basalt Tile. These cast basalt tiles are bedded as well as jointed in cement/special bonding agents like resins depending upon the application.